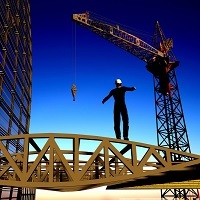 Construction Staff Hiring Services in Bhopal - Lakkho HR Consultants Pvt. Ltd. Serving a wide range of industries and construction projects worldwide, we blend diverse expertise with keen foresight to facilitate projects and mitigate construction risk. Whether youâ��re an owner, contractor, attorney, surety or other construction professional, we can assist you in achieving project success, from the ground up. As construction engineering and management consultants, we offer the expertise and guidance required to assist all professionals working within the construction industry. From conceptualization to project close-out, we seek to provide our clients with a proactive and forensic project support.